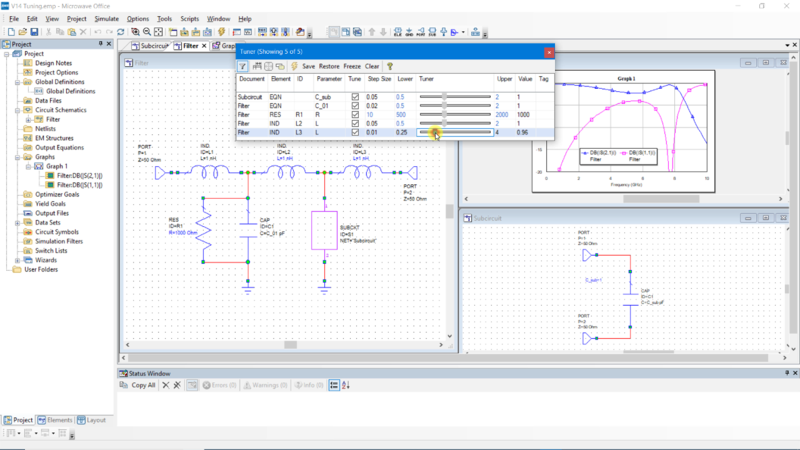 This video will show users how to tune elements on a Schematic and view the results changing on a graph in real time. It also covers the other features of tuning such as saving states, and freezing traces to compare results. AWR significantly enhanced the user interface for tuning starting in version 14.